Quail's Nest Quilt Company is a retail quilt shop and classroom! We are very excited to share our passion for textiles and hand-made goods! 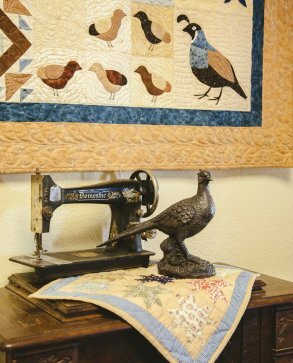 Quail's Nest started as a dream imagined by an avid quilter and has quickly come to life. 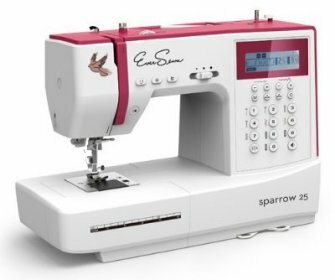 You can expect fabric from manufacturers you know and trust, like: Windham, Andover, Northcott, Moda, etc. We also carry notions, supplies and batting. 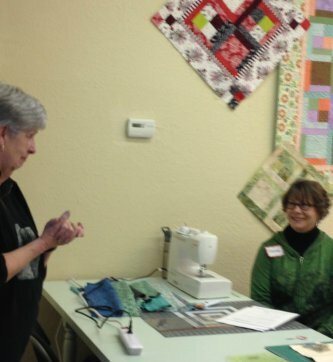 We offer classes for all levels of quilters and have a spacious classroom! We are located in the beautiful foothills of Tuolumne County, a scenic destination for many travelers, in Sonora, CA. Our name is inspired by our area, and our state bird, the California Quail. We hope to inspire, teach and share with all who come through our door. The NEST is OPEN every Tuesday - Saturday 10am to 5pm CLOSED every Sunday & Monday with a few exceptions.